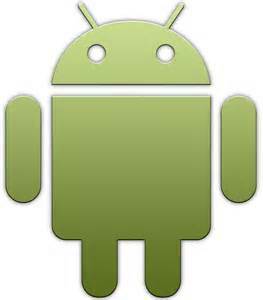 Android OS has really been an awesome success for Google. It has the largest share of smartphones in the world, and apart from those, there are tablets too. The number of mobile devices which use Android is numerous, and that’s the reason why it becomes important that one understands how to use Vpn services for Android devices. The reason being the fact that there is an increased chance that you would find yourself with a mobile device and having the reason to surf the Internet on a connection about which you don’t know much. That’s the reason why, you should understand how to setup OpenVPN for Android. In this tutorial, we shall setup OpenVPN client connection for Android. We shall use the ‘OpenVPN for Android’ app for the actual setup. So the first step would be to download and install the app. There is a file ca.crt which is a security certificate and needs to be downloaded from OpenVPN’s official site. Download this and copy this to your Android device. After you have copied the file, open the OpenVPN app, and click ‘Add profile’. First you would be asked to enter the name of the network, and then details about the VPN service, which you can find from the configuration mail which is sent to your upon registration to service. Among other things, out the server port number as 1194, check the LZO compression and enter the username and password. In the next page, you would be asked to give the CA certificate. Select the ca.crt that you copied to your device. Click ‘Import’, and then ‘Save’ the certificate. Rest of the settings would be pretty self-explanatory. Click check boxes like ‘Use default route’ for IPv4 and IPv6 and check, ‘Except TLS server’ check box. And you are done! Using the OpenVPN for Android app, the overall method of setting up the OpenVPN protocol is pretty easy. Using VPN is a very good practice, since we have got an incessant need to be online. Using VPN service gives you an extra layer of security and anonymity and hence makes your overall experience in Internet better and more productive.